Under Florida criminal laws, penal codes and statutes, the phrase white collar crime is not an actual legal term. However, it refers to those people in the professional and business world who are charged with a multitude of theft and fraud-related criminal offenses. In general, white collar crimes involve either some form of theft or fraud. Whether it is stealing another person’s identity or creating fraudulent applications for several mortgages, white collar crimes are very serious. Especially if your case becomes high-profile or in the media, the public is generally not sympathetic for rich defendants. This may seem cruel, but it is the harsh truth and a reality in many situations. We are forthright and real when it comes to letting our criminal defense clients understand the seriousness of their situation, potential outcomes and what our plan of action is as far as defense strategies for white collar crimes. If you require more information about The Umansky Law Firm or wish to speak with one of or our attorneys, you can contact us online. 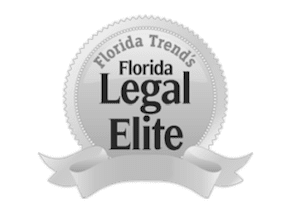 No matter what type of white collar-related charges you are facing, whether under Florida state laws or under federal laws, we handle all types of charges. The penalties are especially serious in both Florida and under federal laws. Extensive and sometimes mandatory fines and jail time are a real possibility for your case. Consult with our team of seasoned defense lawyers in Orlando, Florida. Schedule your initial appointment by calling 407-228-3838.